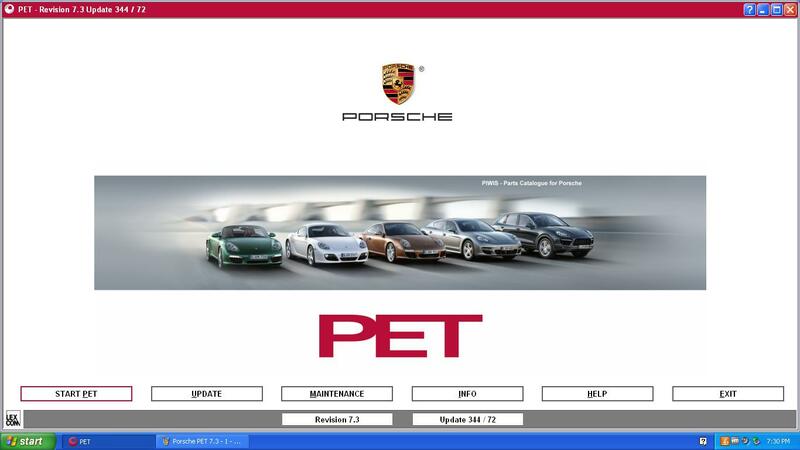 Porsche PET is the Porshe electronic parts catalog. 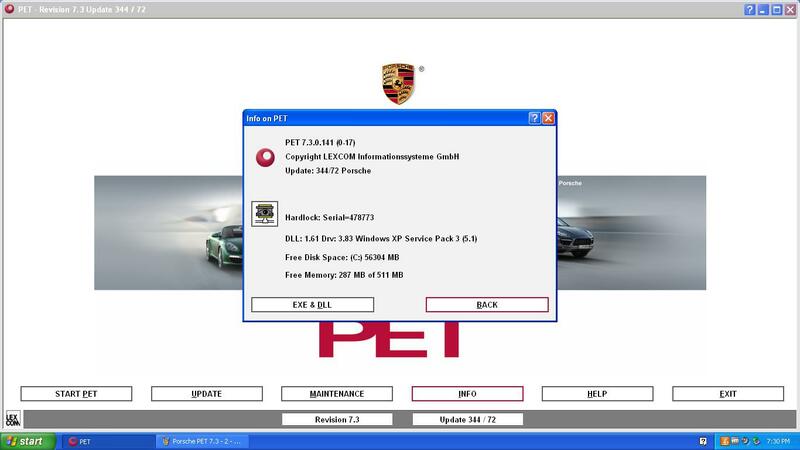 It contains part numbers for For porsche genuine parts. Electronic spare parts catalogue Porsche contains the full information on spare parts.The catalogue occupies one CD, it is possible to establish for work with use of CD, or completely on the winchester.The spare parts catalog Porsche allows to enter VIN number of the machine and carries out a filtration, using it, but thus number of a body is not taken into account, that is the program Porsche will define on VIN model and modelling year (using first 11 symbols VIN), the rest should be chosen independently. It means, that the program Porsche easy digests VIN numbers with thought up last figures that can lead to to mistakes in identification of units. In the program there is a function of search of application spare parts, she allows to search application of a detail, and also the information concerning to replacements and returnable parts, the information about “fractional” the deputy. At work with the given catalogue, it is necessary to pay special attention to various footnotes and notes, and also if necessary to look in lists of fractional replacements and V, S and P-page more often to not receive a detail which you did not wait. The price-list is delivered separately either on CD, or on several diskettes. Only Windows XP or Windows 7 32-bit Have Tested,and you need to test for other operation system.